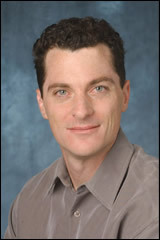 Derek Briggs is Professor and Chair of the Research and Evaluation Methodology Program in the University of Colorado’s School of Education. He is also currently th editor of the journal Educational Measurement: Issues and Practice. Dr. Briggs’s research agenda focuses upon building sound methodological approaches for the valid measurement and evaluation of growth in student achievement. He has a special interest in the use of learning progressions as method for facilitating student-level inferences about growth, and helping to bridge the use of test scores for formative and summative purposes. He prides himself as someone whose mission is to challenge conventional wisdom and methodological chicanery as they manifest themselves in educational research, policy and practice.